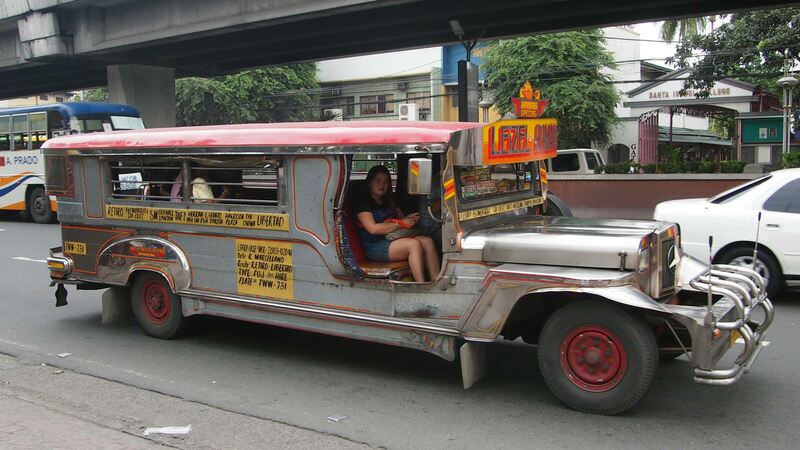 The Filipino capital Manila isn’t the most popular destination among Southeast Asia travelers. Many people will even discourage you from visiting Manila since the city allegedly doesn’t have any interesting sights. In addition to that, there is a supposedly high crime rate. But why this bad image? Before our one-month Philippines trip to Palawan and Boracay we decided to give the city a chance and made a one-day stopover there. Here’s our experience report. The first impression of the city is a little bit different than a Southeast Asian metropolis you already know and love, like Bangkok, Kuala Lumpur etc. Almost everybody – taxi drivers, policemen and even older fruit vendors – speak basic or even quite good English and you can communicate without any problems. This is unimaginable in Bangkok for example. While we’re already comparing, there’s another thing that I noticed: there are sparsely cookshops or street food vendors like we’re used to it in Southeast Asia. If you’re looking for delicious and especially spicy street food, you will be rather disappointed in Manila. 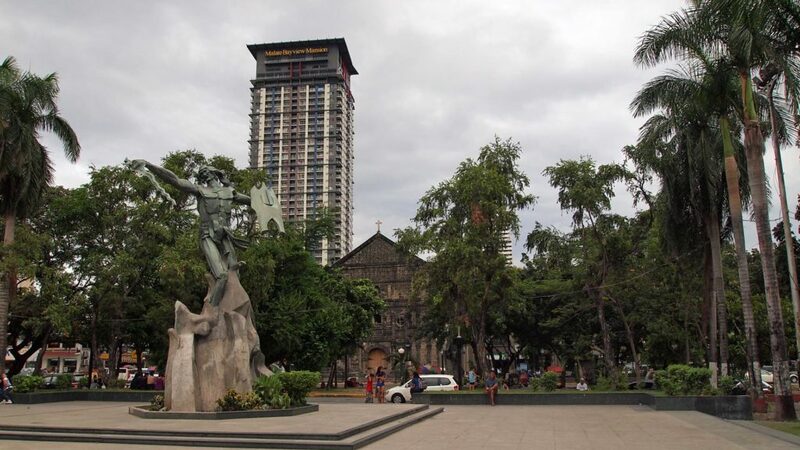 Nevertheless we started our – let’s call it – sightseeing tour in the relatively southern district of Malate, where our hotel was located. Passing the Rajah Sulayman Park with the Malate Church, we went to the direction of the Manila Bay, where you can find the waterside promenade Manila Baywalk. With good weather, you can enjoy a nice and relaxed walk along the water. But I wouldn’t consider it as a must-see though. Further down the waterside promenade along the Roxas Boulevard, we finally arrived at the Rizal Park after 15 minutes of walking. 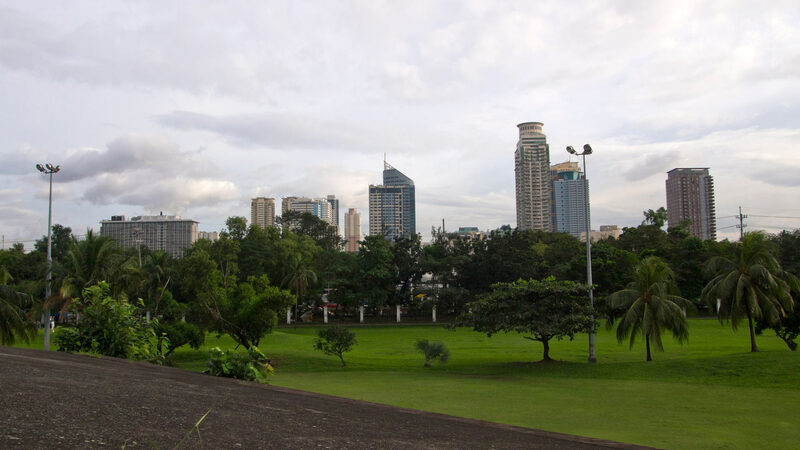 Some locals also call it “Luneta”. 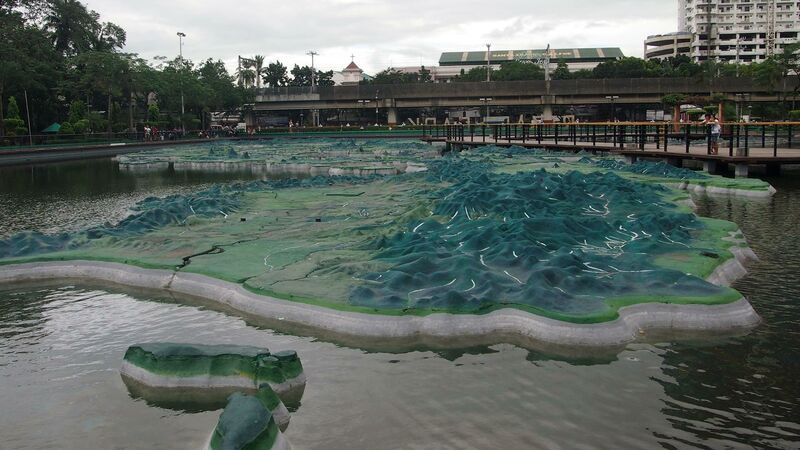 The largest and probably most famous park of Manila has some highlights, e.g. 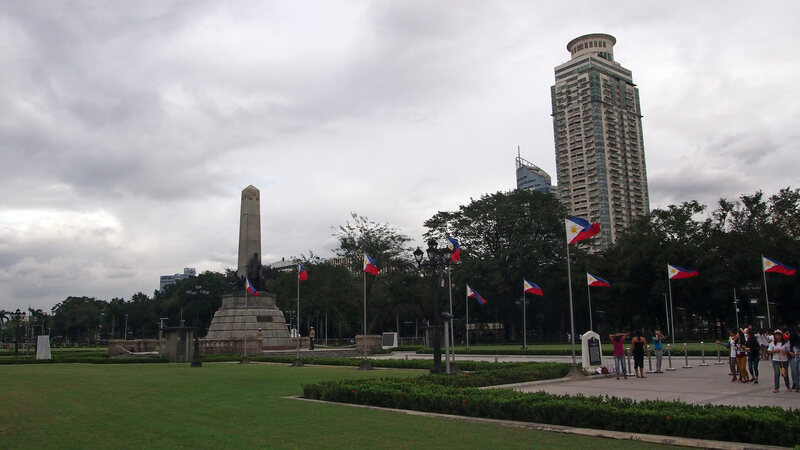 the Rizal Monument, the Kilometre Zero or the giant Relief of the Philippines. Well, they didn’t knock my socks off however. Maybe it was because of the many clouds above the city and on a sunny day you can spend some nice hours here indeed. Many Filipinos like to come to the park and there’s always something going on or to see. As we were here during the time before Christmas, everything was nicely decorated, people were singing and the atmosphere was just beautiful. Conclusion: I think it’s a nice place when you wanna escape the big city and just relax a little bit. 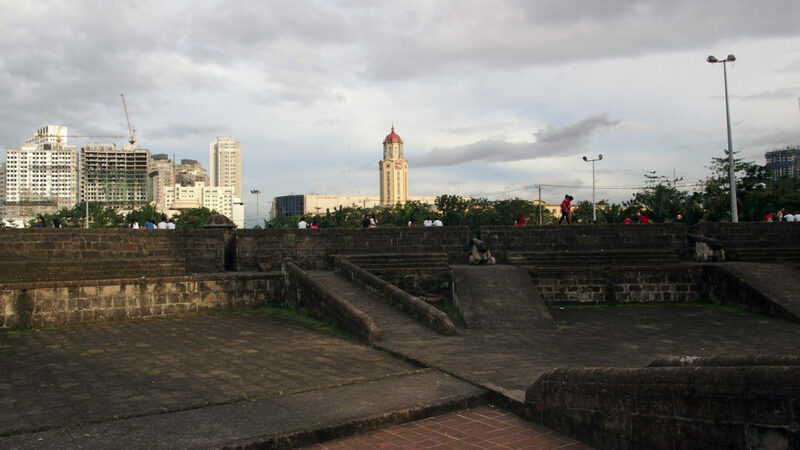 Surely considered as the most popular and interesting sight of Manila is the old colonial district Intramuros north of the Rizal Park. From there you can reach it within only a few minutes of walking. 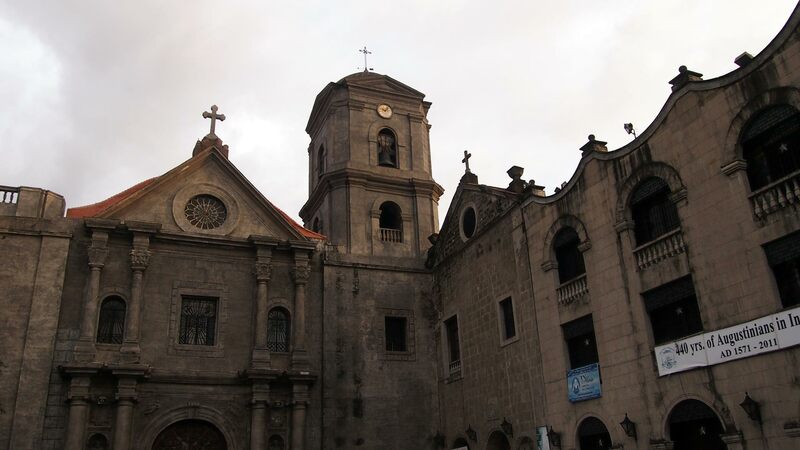 The district of Intramuros is completely surrounded by walls (Intramuros = “within the walls”) and is the oldest district of Manila which was used as the administration center of the Spanish. So back in the days, Manila used to be only Intramuros. 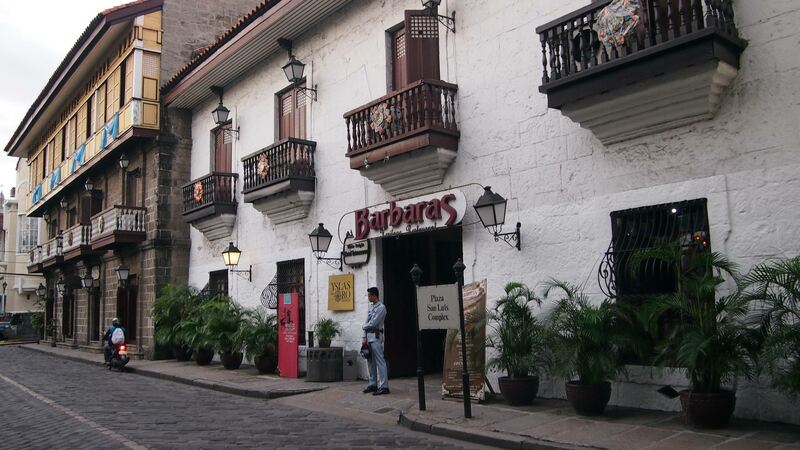 You can see the Spanish colonial era in the architecture of many buildings. 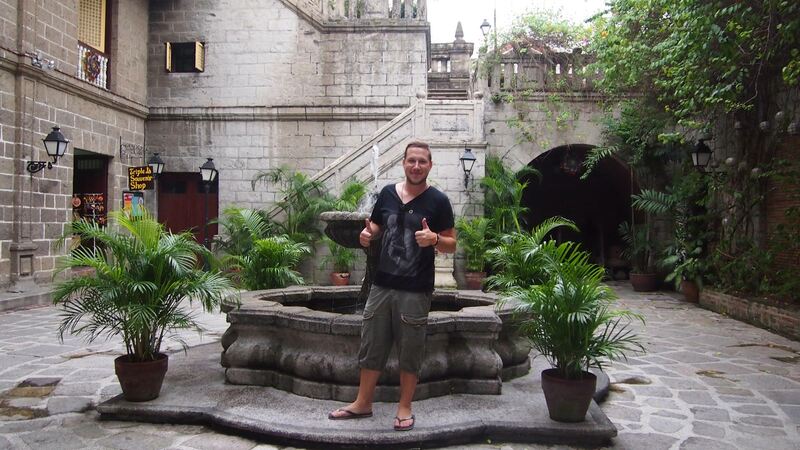 Of course you can explore Intramuros by foot – if you have enough time left you can definitely do it. But since the area is quite big, it’s clearly more convenient to take a guide who will drive you around in his “Padyak” or “Potpot” (cycle rickshaw), show and explain you the most important sights. We decided to try this and paid 100 pesos per hour for one person (always try to haggle hard!). 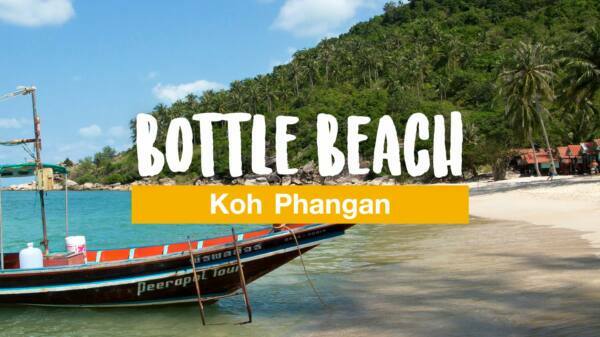 When you have a good and friendly guide just as we had, I can totally recommend you this option! The drive with the trishaw was a little adventure and we got much inside knowledge from our guide. 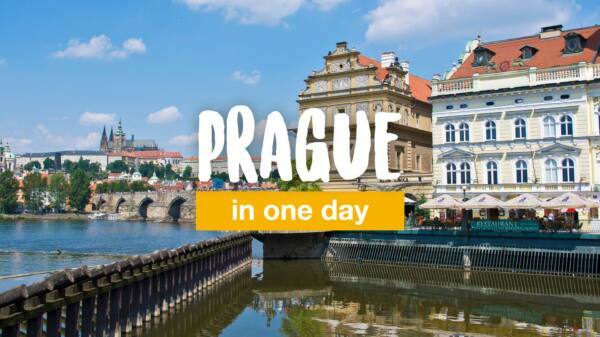 You should plan about 1-2 hours for all the sights. Basically, one hour would be enough, too but if you wanna have it a little bit more relaxed, you should plan at least 2. We did that as well and this way we were able to stay at each sight for a while and take photos without rushing. It is obvious that you will have much more time when you walk and explore it on your own. Note: some sights, museums etc. have an additional entrance fee that you have to pay when you wanna enter them. We skipped those and we absolutely didn’t have the feeling that we missed something. Conclusion: you can definitely do a stopover in Manila I think. 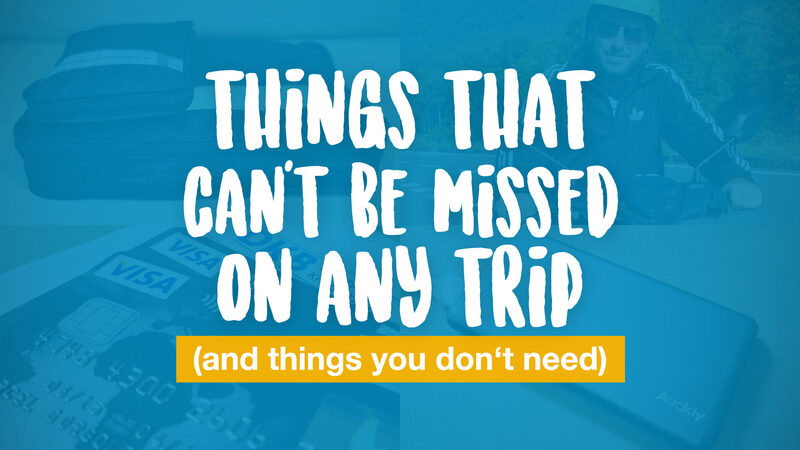 But on the other hand, you won’t miss anything if you don’t. 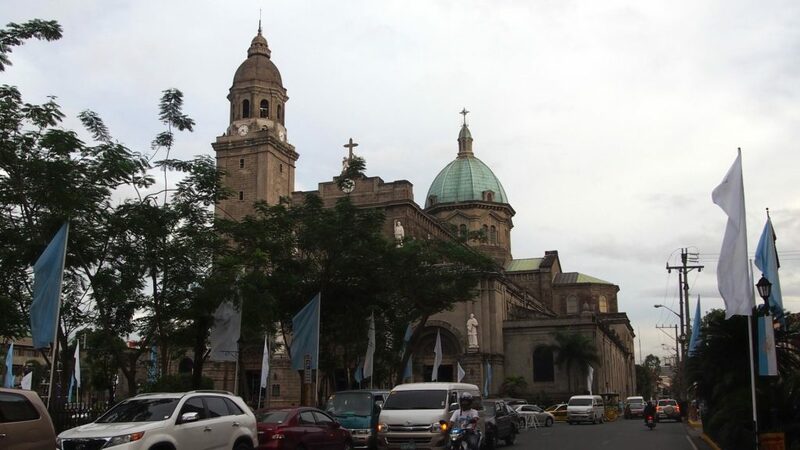 Many other travelers say that Manila is a shithole that you should avoid by all means, but I can’t share this opinion. At least not for all districts since there are some really nice places like the Rizal Park, partially Malate or Intramuros, which is a must-see for history fanatics anyway. For sure I can say that it’s not my favorite city in Southeast Asia, but I didn’t regret our stay there at all. 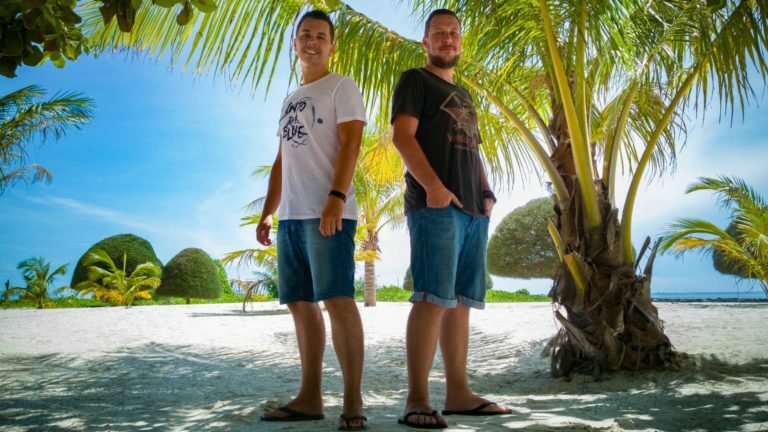 Even better than the city itself are the Filipinos that are really kind and likable and because of their good English skills you can meet some nice people and have a lot of fun in the right environment! 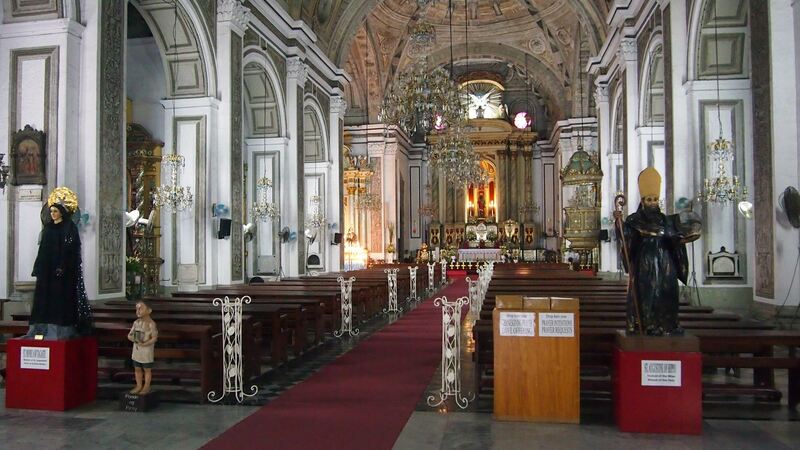 Have you ever been to Manila and how did you like it? If so, what was your personal highlight? Did we miss something important? Let us know in the comments now! Great article and blog! I hope when you’re planning on coming back to Philippines you’ll visit Cebu, we have so many beautiful places and beaches here in Cebu too. I’m sure you’re gonna love the places here in Cebu and countryside. Anyways, thank you for visiting and for finding Philippines beautiful. Keep on posting awesome articles! Good article. How İs the nightlife in manila? You can find plenty of good nightlife there. The best areas would be The Fort or Quezon City, Makati probably comes in third. Thanks for the roundup. Will be visiting Manila next week!